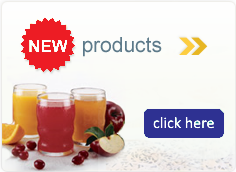 Add 1 fluid ounce (30 mL) of Liquid ProSource to hot or cold foods and liquids. Tube Feeding: Flush feeding tube with 30 mL of water. Mix 10-20 mLs of water with Liquid ProSource and infuse via syringe. Flush with an additional 30 mL of water. Continue tube feeding as prescribed. Ingredients: Purified Water, Protein from Collagen Hydrolysate and Whey Isolate, Natural Flavors, Citric Acid, Phosphoric Acid, Malic Acid, L-Tryptophan, Potassium Sorbate and Sodium Benzoate (preservatives), Sucralose, Red 40. CONTAINS: MILK. 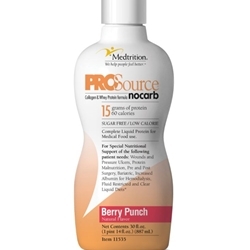 Prosource™ No Carb - Berry Punch, 1/30 fl oz. Prosource™ No Carb - Berry Punch, 4/30 fl oz.